When it comes to coupons, people look at the show “Extreme Couponing” and think that they have to dedicate hours and days to couponing. 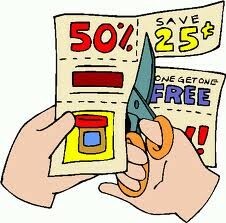 But in fact, with just 15 minutes a day a person can manage to save some decent money with coupons. This time includes the time to request them, organize them and be ready to walk out the door and shop. The easiest method to coupon is to visit the Canadian coupon websites and request the coupons that you will use. Many people do this once a week as the sites don’t necessarily change that often and there are limits to how often you can reorder. I have a comprehensive list of all the Canadian coupon websites to visit for Canadian printable coupons. You will find Canadian grocery coupons as well as coupons for other items such as cleaners and beauty products. There are also inserts that will come out throughout the year in either the local newspaper or in the flyers that are delivered to your home. To make your life easier, you will want to organize your coupons in some sort of method. When I first started, I had them organized in envelopes by expiry but I quickly found that method was not working. I then moved into a binder system where I had everything by type such as coupons for groceries in Canada. This worked better but when the end of the month came and I was cleaning out expired coupons, it was rather cumbersome. Now, I have those that I use organized by type, and those that I am willing to trade with others are organized by expiry date. So far it is working for me rather well. 25 Ultra Pro 9 Pocket Page Protectors Fits 3-Ring Binder for Baseball and Other Sports Cards! Now, to save the most money, you want to go through your flyers when they come in, or before you go shopping, and determine what you are buying and if there are any great deals. Then go through your coupons and see what you can match up. You get the best savings if you combine a sale with a coupon. I recommend taking all your coupons with you to the store as you never know when there will be an in store special to go along with a coupon that you have. Learn to shop at Thrift Stores, save money and look your best. 3 tips I have learned through my experience that will help you.